I can’t tell if the device below is a phablet or a tablet, but what’s for sure is an Alienware gaming device, that packs some punch. 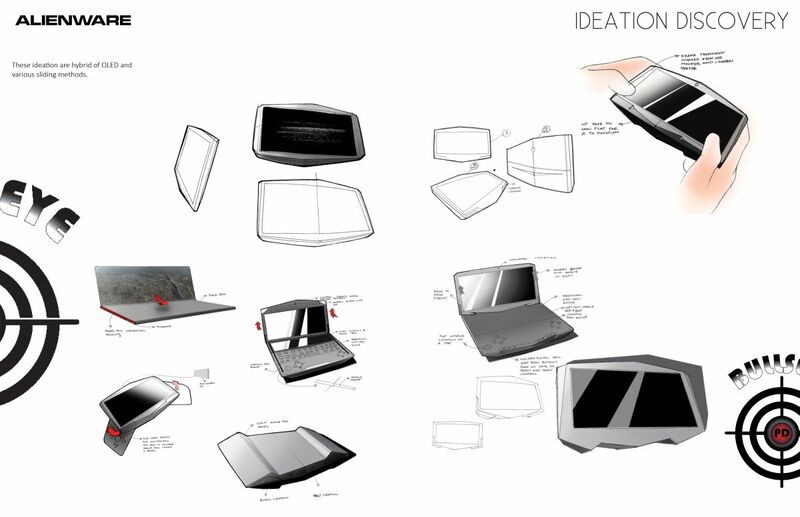 It was rendered by designer Sylvian Bryan and it’s based on OLED technology. 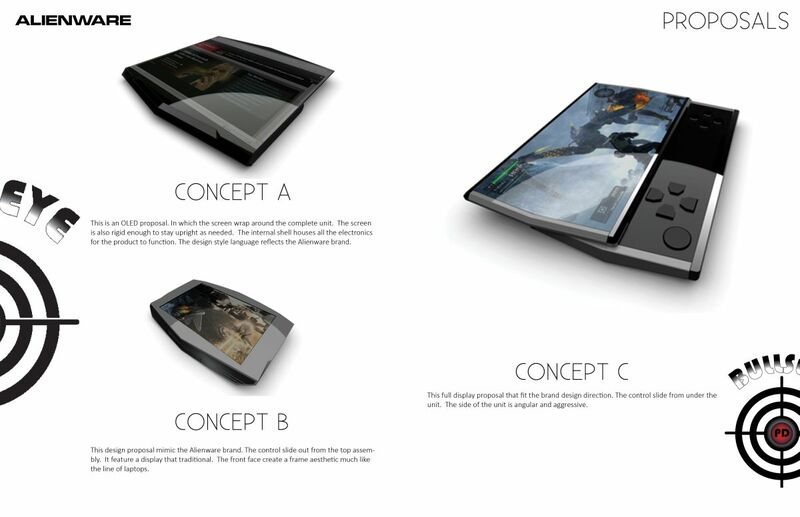 The device features a sliding portion and a main screen bit, with narrow bezels. 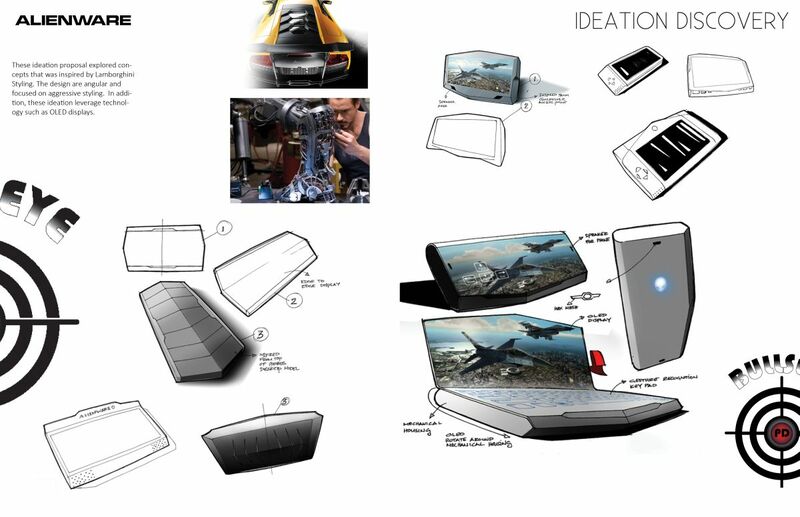 If you look closely, there are actually 3 concepts, with Concept A being the OLED proposal, that has a wraparound screen, rigid enough to stay upright if need be. 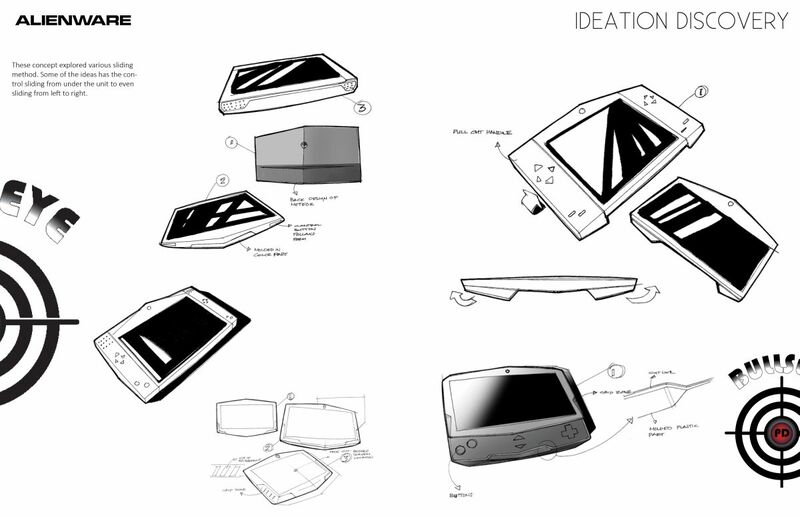 Then comes Concept B, with a massive approach and a slide out control mechanism that comes out of the top assembly. 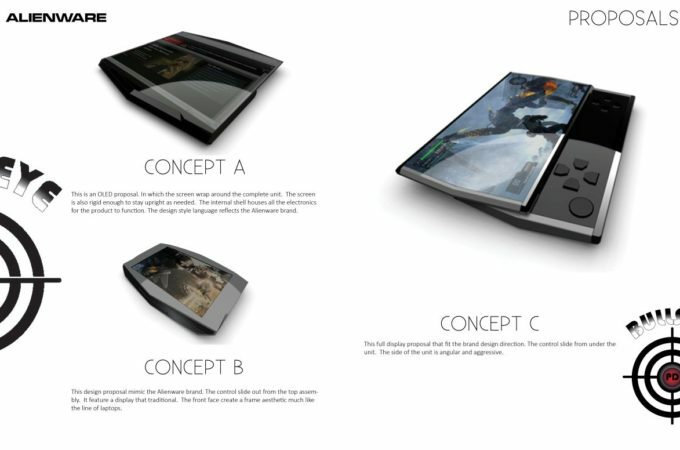 Concept C is the typical slider smartphone, with an angular and aggressive approach. 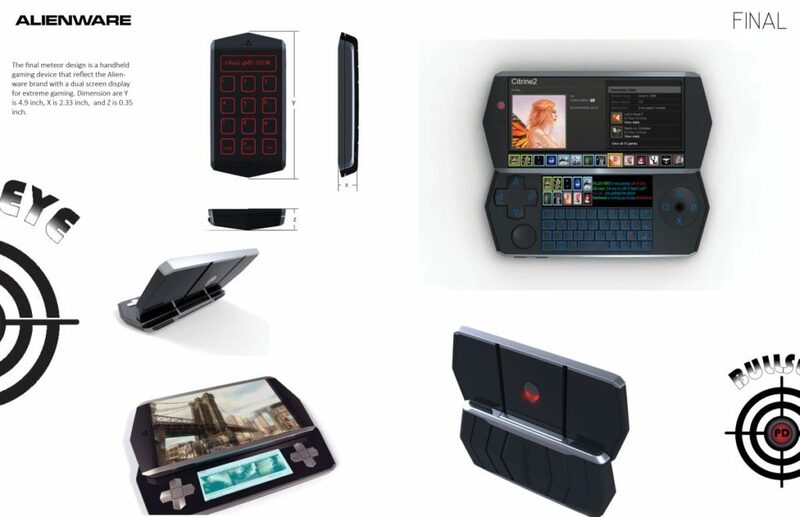 Several applications of the gaming device are shown, including productivity, Skype and using the QWERTY keyboard. In some iterations the concept is basically a fashionable laptop, in others it’s an oversized Nintendo DS, while in others it’s just a slab of metal or plastic with a screen at the front. 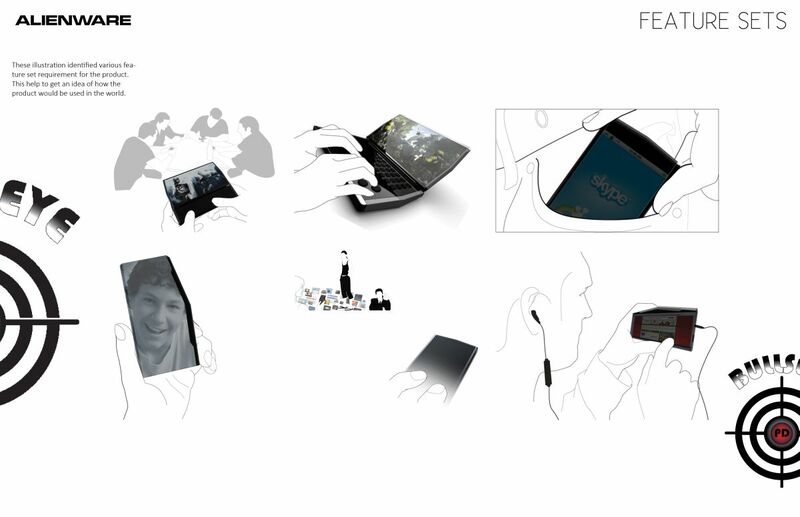 I like the “slider smartphone” bit, although it seems rather complex, with its action buttons, d pad and QWERTY keyboard, all mixed together.